Teeth whitening is one of the most popular examples of cosmetic dentistry. 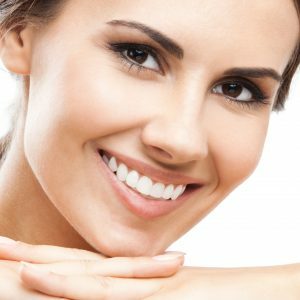 You will benefit from your decision to have your teeth whitened. When your teeth are discolored, dull, or stained, you do not look your best. Whitening will result in an amazing improvement to your general appearance. A healthy, youthful smile can result in more self-confidence. If you are hiding your teeth when you talk, or not smiling as often as you would like, prepare for some wonderful changes. Your self-confidence can increase because you know you look your best. Older people who have their teeth whitened will look younger and healthier. Fine lines on your face will not be as noticeable. When someone greets you, the first feature he will see is your beautiful teeth. Teeth whitening will not automatically improve your oral health, but it can make a difference. When your teeth are in poor condition, you may neglect home oral care. White, attractive teeth can motivate you to brush and floss every day. When your teeth look nice, you want them to stay in excellent condition. You may become more conscientious about regular dental visits, and avoiding products that are harmful to your teeth. When you want the best results from teeth whitening, choose the method that meets your needs. There are many over the counter products available, in a variety of forms and price ranges. They differ greatly in their effectiveness, and how easy or difficult they are to use. However, the most effective approach to teeth whitening can be found at your dentist’s office. Your dentist can whiten your teeth in the office, or prepare trays and whitening solutions for you to use at home. When you choose professional whitening, you will have the best results. Everyone wants to be attractive. Teeth whitening is a way to improve your appearance at a reasonable price. If you continue to take care of your teeth at home, you can have long-lasting results. Instead of hoping for a white, bright smile, you can have it. There are a ton of advantages that you can get from teeth whitening and I really like that the article goes over how some of them benefit your oral health. Not many people would think that simply whitening your teeth can improve oral health, but the article raises several good points. After all, if you start to get your teeth looking really nice then you might be motivated to do what you can to keep them looking that nice.